"In this present work, The Apostolic Gospel, I deal with the gospel most directly and most fully. 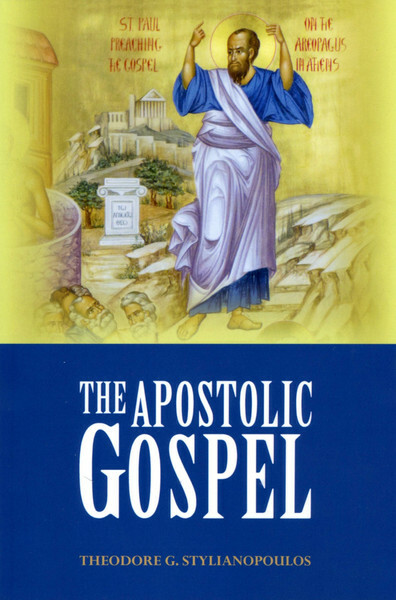 I endeavor to explicate the full scope and significance of the apostolic gospel as the primary factor and the driving force behind the mission of the early Church. My intent is not only historical but also contemporary: just as Christ is 'the same yesterday and today and forever' (Heb. 13:8), so also the gospel of salvation is powerfully effective in every generation. Now retired and at the end of my life's work, I regard this as my most cherished piece, a kind of cheerful evangelical swan song, to celebrate the meaning and blessings of the gospel at the heart of the Church's New Testament." -from the preface by Fr. Theodore Stylianopoulos.